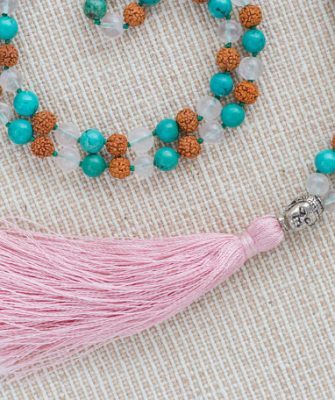 It’s a wonderful protective stone that contacts spirit guardians, releases stress and brings serenity and peace. 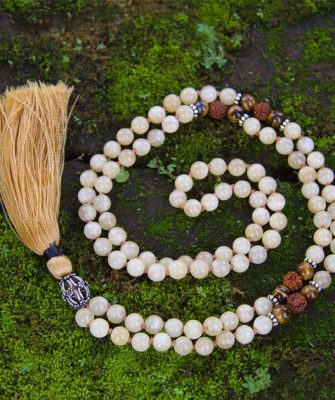 Rutilated Quartz is also a fantastic stone, with long thin “threads” in clear crystal, also called Venus Hair. 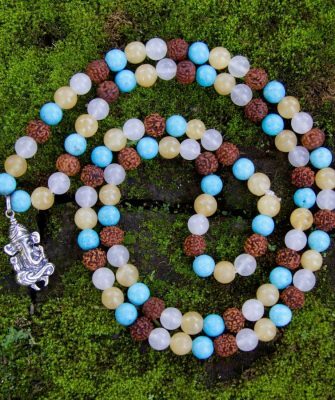 Spiritually, Rutilated Quartz is known to be an illuminator for the Soul, promoting growth and energizing the Aura. 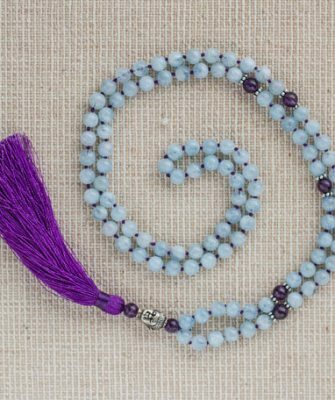 A unique combo of 2 special gemstones, so dreamy and full of magical properties. 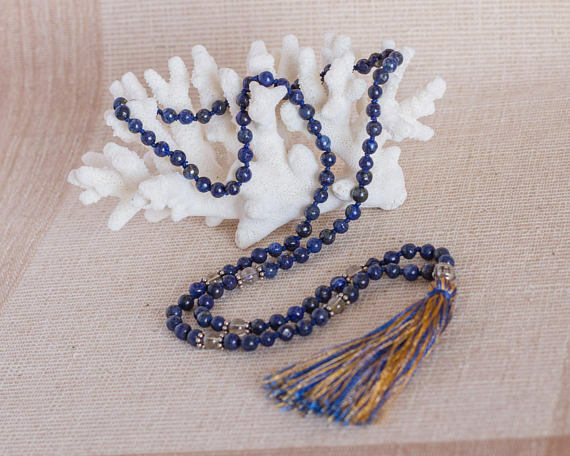 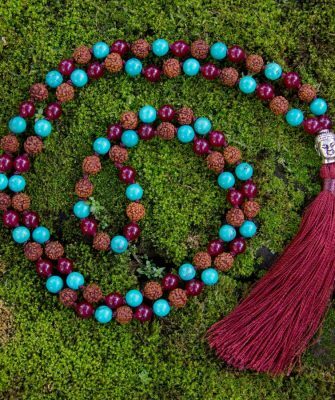 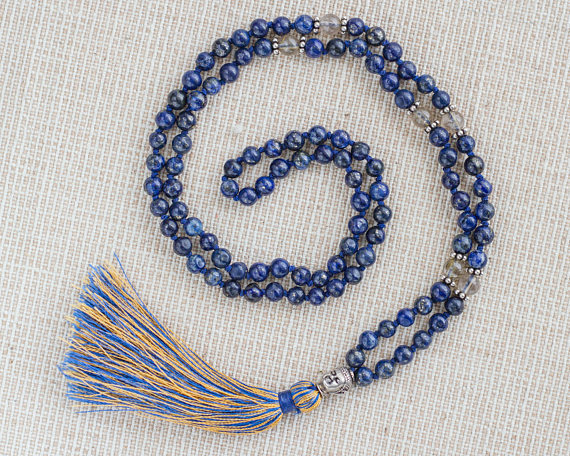 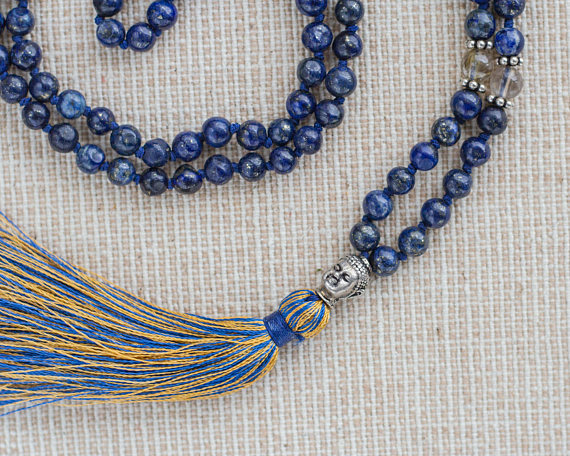 The Mala is 47 cm long, including tassel.